It does not take long at all for a beaver to cut through a tree. 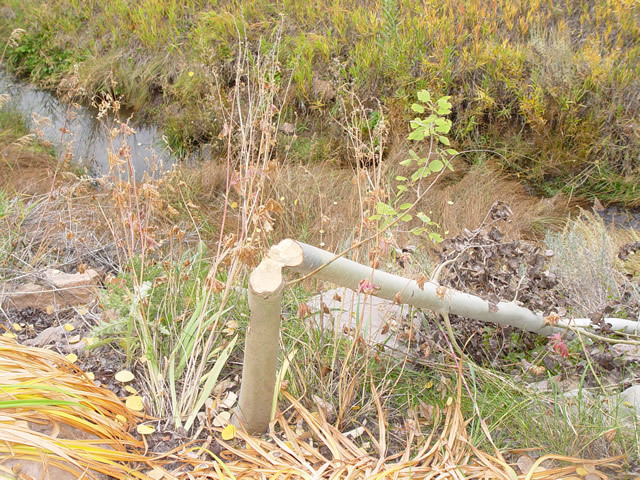 We can stop beaver damage from occuring on your property. Want to get rid of nuisance beaver in your area? Use our nationwide directory of wildlife control operators to locate a professional trapper near you. 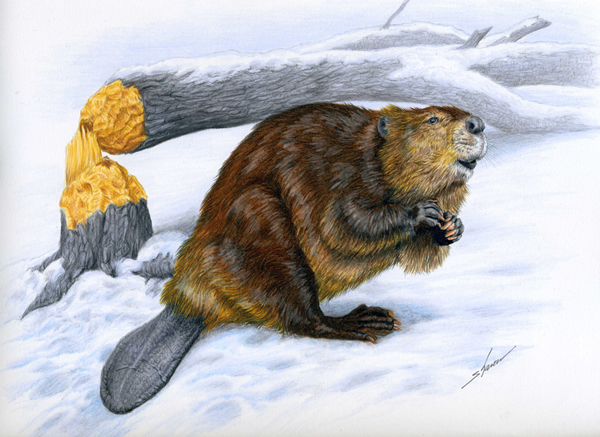 Beaver populations are on the rebound. Their numbers are increasing in both urban and suburban wetlands. Like humans, these creatures dramatically alter the environment to suit their own purposes; specifically, they cut down trees and change the course of waterways. Why are beavers a problem? They alter waterways which may cause flooding of homes, roads, and properties. Flooding can damage forests, destroy crops, wash out roads, highways, and railroads, and may contaminate the local water supply. They cut down trees you may not want cut down. These orange-toothed rodents fell trees very quickly; one family could easily cut down 400 trees in a single year. 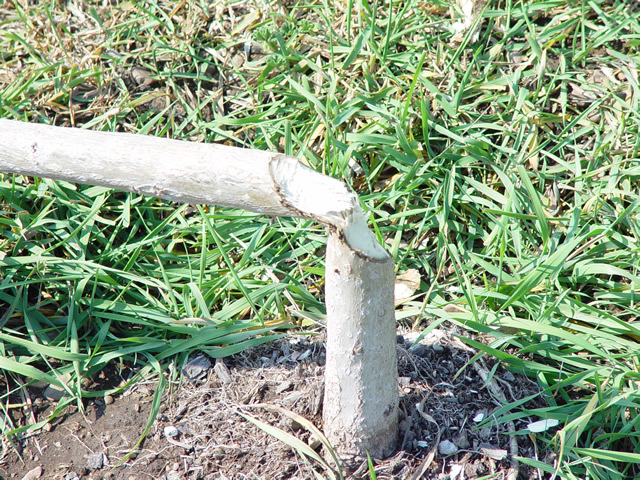 They damage expensive landscaping such as ornamental trees, ornamental shrubs and fruit trees. Beavers will set up house anyplace that has a year round slow-moving water source with plenty of mud and trees. Lakes, ponds, swamps, wetlands, ditches, drains, and natural springs all make great habitats for them. They build homes, called lodges, and create stockpiles of food, called food caches. Food caches are kept in general areas and underneath piles of sticks and packed mud. The cache may be kept in a separate area from the shelter. Baby beavers will usually stay with their mothers for 2 years. After that they are on their own and must find their own place to live. When this happens they go in search of a new place to build a home, perhaps at a waterway near you. This usually occurs in the spring. Trapping beavers is a very effective solution. Our expert wildlife removal technicians know how to get rid of beavers and we have the answers you need to handle any situation. How do I know if I have a beaver problem? A burrowed den in the bank of a water body. Beaver lodges look like cone-shaped piles of limbs and other debris around a hole. They access their homes from underwater. Sometimes the lodges are in the middle of a waterway. We offer many solutions to prevent tree damage and flooding damage caused by these unique animals. 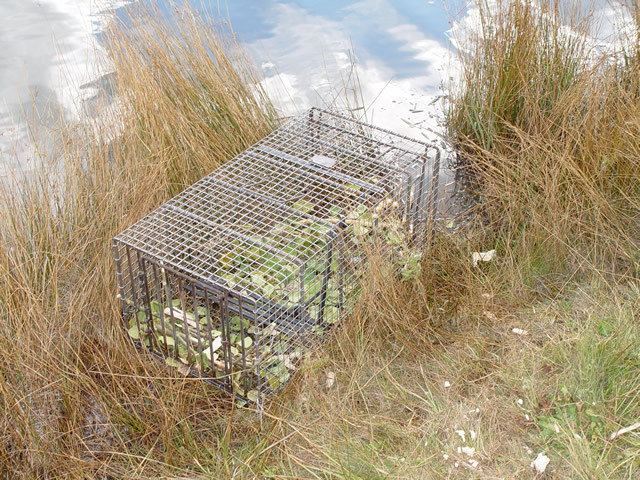 We have a variety of beaver traps and our wildlife control operators can trap and remove beavers from your property. We also have beaver repellent products available, both taste repellents and metal barriers. These are effective at protecting your trees or other property that is at risk. To schedule an inspection, call Allstate Beaver Control: 1-888-488-7720. You may send us 5 to 10 digital pictures of your beaver problem and we will give you a FREE cost estimate over the phone. For fastest services, call us today at 1-888-488-7720. Prices will vary depending on the severity of the problem and on the time spent on the job. Remember, wild animals can be unpredictable. Every job is unique and our solution will be custom fit to your situation. Check with your insurance for coverage. 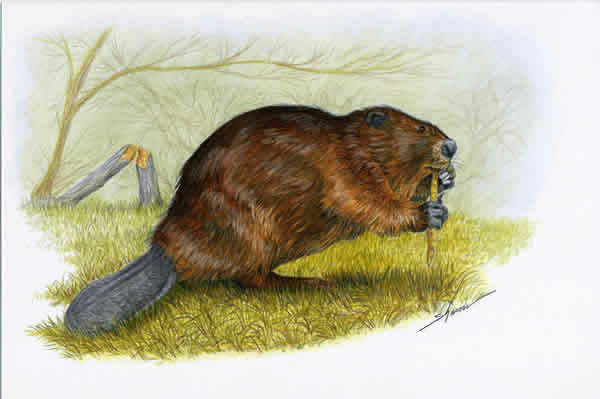 Read more about this pest animal at our Beaver FAQ. 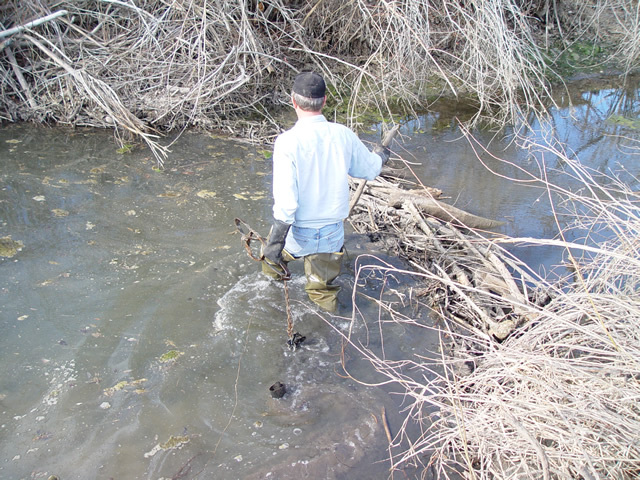 It is necessary to remove beavers when they alter waterways and threaten flooding. Our pro trappers can stop beavers from damaging your trees and property, like this tree that was chewed in half. This beaver trap has been carefully set. We know how to get rid of beavers from canals, ditches, rivers, streams and all kinds of waterways.